We’re guessing you’ve probably heard of the San Pedro cactus and it’s magical component, Mescaline. But what is the history behind the San Pedro cactus? What are the effects of mescaline? And how can we use this fascinating cactus ourselves? Compelling questions, that will be answered by the Magic Mushroom Shop! Trichocereus Pachanoi, aka San Pedro, (Echinopsis pachanoi) is a cactus native to the Andean mountains of Peru, and Ecuador. It is one of the four most sacred plants of Peru, along with Tobacco, Ayahuasca and Coca. Sounds almost like the Mount Rushmore of Peruvian plants, right? Their rich history makes them an elite club of plants that is admired all over the world. 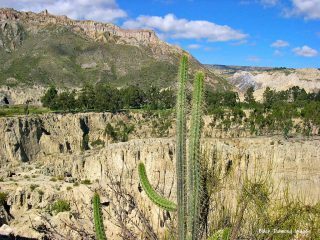 Shamans and natives have used San Pedro for at least 3000 years. The earliest known depiction of the cactus that dates back to 1300 BC. It is a carving of a mythological creature holding the Echinopsis pachanoi cactus. Some of the indigenous names for San Pedro are: Huachuma, Chuma, and Wachuma. But if this plant is so ancient, where does the modern name San Pedro come from? Well, this story takes us back to the marvelous days of old school Catholic times: In mythology God hid the keys to heaven in a secret place. But the Christian Saint, Saint Peter, was able to use the powers of the cactus to uncover the secret hiding places of the keys. Later on, the cactus was named after him. San Pedro! Like Ayahausca, San Pedro been used for healing purposes and to open doors in the minds of people for thousands of years. Only recently have these herbs and cacti found their way to a broader audience in distant (western) countries. 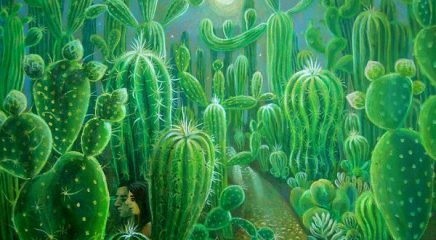 Today, you can join a thriving online community that generously shares information about San Pedro, Peyote and other mescaline containing cacti. And you can even purchase your own San Pedro cuttings, seeds and DIY grow kits on your favorite website. But what about the legality of these psychedelic substances? Luckily, cultivation of San Pedro cactus as an ornamental plant for decorative purposes is currently legal in most places around the world. But be aware! The possession of mescaline for the purpose of consumption is highly illegal in most countries. 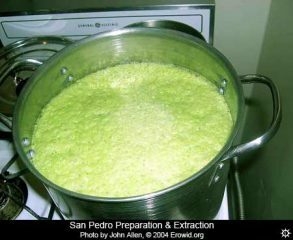 San Pedro has hallucinogenic properties and is often compared to the more popular cactus Peyote; both are members of the mescaline family. Mescaline is a psychoactive alkali that occurs naturally in the aforementioned cacti and also other species of Cacti. The effects that are felt from the ‘high’ of this cactus can be quite spiritual. 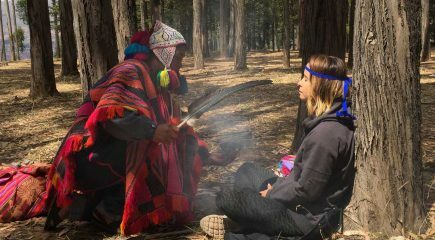 Traditional San Pedro ceremonies are typically held outside around a fire with a Shaman present. 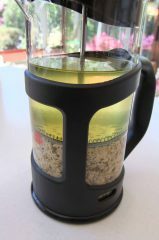 It is brewed as a tea and when it is cool the participants will drink it. For some, Echinopsis pachanoi can make you purge out negative energies and things that no longer serve you. Generally, once you purge, you feel a sense of connectedness to the Earth and all that is around you. Does this sound like the experience you're looking for? Better clear your schedule! An average San Pedro trip can last anywhere between 7-12 hours. Your own San Pedro (Echinopsis pachanoi) cactus! Grow your own San pedro cacti, with these seeds. Method 1: cooking the cactus and using a cloth as filter. So we advise to take your time and read these instructions carefully. Both are valid methods. It will be up to you to choose the method that suits you the best.